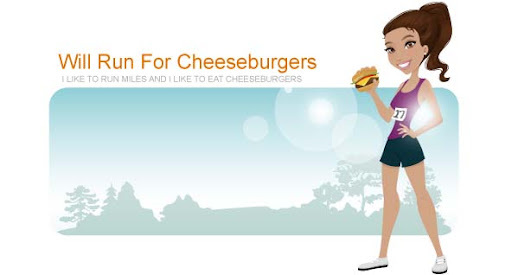 Will Run for Cheeseburgers: Break from running? At 56 degrees and sunny today was definitely not the day to waste indoors during lunch. I luckily wore work out clothes to work today so there was no problem walking out of my building at noon to do a quick run around Uptown. I kept up a good pace while enjoying some sunshine. Random sculpture that I passed during my jog. As I was wrapping up my jog I slipped off the street curb and rolled my ankle. Definitely not the way I wanted to end my jog for the day. I currently have my ankle propped up on a chair and am anxiously (not) awaiting for it to swell up and turn lovely shades of purple. At least I got in another 2.25 miles done in 22 minutes.